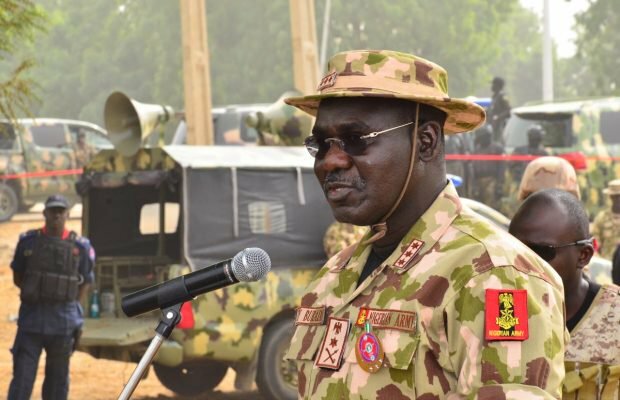 The Chief of Army Staff, Tukur Buratai, on Monday promised to off-set the two months’ allowances owed soldiers involved in Operation Lafiya Dole. Buratai, in a statement signed by the Army spokesperson, Sani Usman, said the outstanding allowances will be paid this week. The Army Chief said the release of funds by the Ministry of Defence would facilitate the payment. An officer of the Nigerian Army has written a letter to President Muhammadu Buhari to complain about alleged corruption and sorry state of troops. The officer, also part of the war against Boko Haram, wrote the letter in reaction to the army’s dismissal of the complaints of Abdulrauf Aliyu, a private of the Nigerian army. Aliyu had complained that he was abandoned after being shot by suspected Boko Haram insurgents.